From juicy corned beef hash to Tahitian French toast, this place has the sweet-to-savory scale covered for breakfast whenever you want it. Breakfast is the most important meal of the day, and I firmly believe that it should be available all the time, even to us night owls who tend to stay up and sleep in later than society deems acceptable. Indeed, the Rox Diner serves a top-notch breakfast the way breakfast was meant to be served: all. the. time. The first location opened in West Roxbury in 2007, with a second in Newtonville in 2011. Both spots also serve lunch, and the Newtonville location does dinner too. 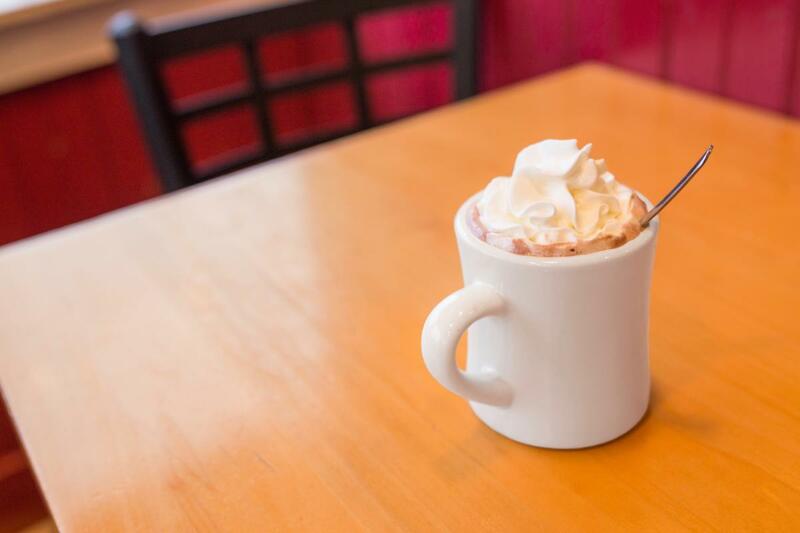 In Newtonville, you’ll find that nostalgic-yet-modern diner ambiance with black-and-white checkered floors. On one wall, there is exposed brick; on the other, old record cases form a stripe above the picture windows. A blackboard let's you know “WHAT’S Local @ Rox Diner”: bread from Fornax Bread Co. in Roslindale, Jim's Organic Coffee from West Wareham, craft beers on tap from Massachusetts breweries, real Vermont maple syrup from Welch Mountain Maple in Topsham, Vermont. I like breakfast because I can swing to the extremes of the sweet/savory scale, depending on my fancy. My favorite savory options involve eggs with silky runny yolks; my favorite sweet options involve real maple syrup with that robust amber flavor. 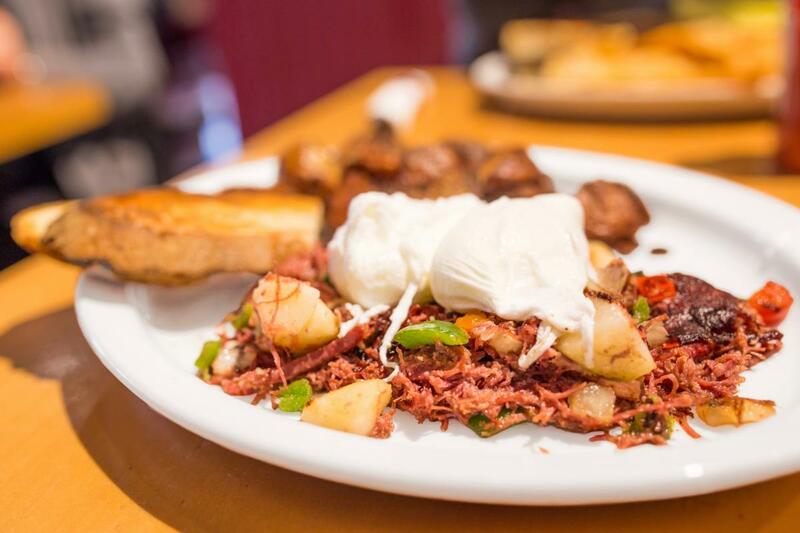 Hash tends to be a good measure of a breakfast joint; how much flavor can you really pack into corned beef? At the Rox Diner, the well-seasoned corned beef hash is positively juicy, with a medley of bold but simple flavors: green peppers, onion, salt, pepper. Top it with a couple of poached eggs, add a few slices of toast, chase it with a side of crispy red bliss home fries, and that’s really all I need from a day. But maybe you’re looking for that perfect sugar rush that you can only justify ingesting at 10 a.m. in the morning if it comes in the form of French toast and Vermont maple syrup. 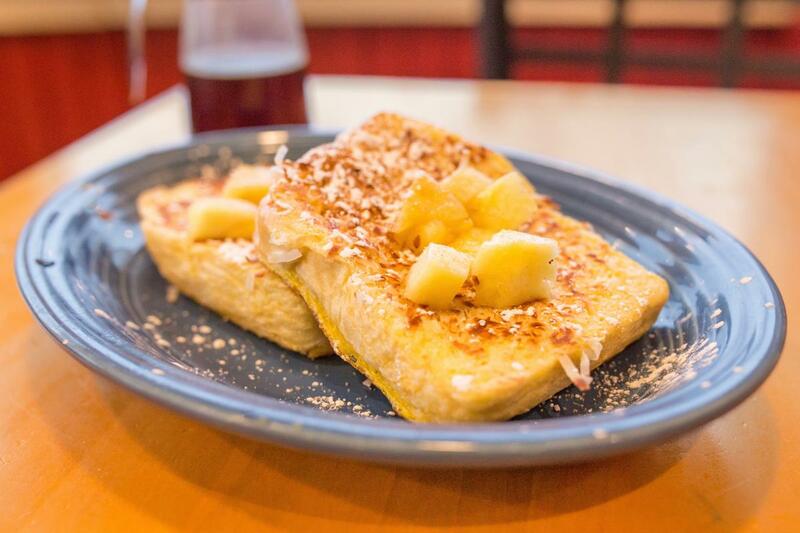 I’ve had a few different varieties of Rox Diner’s French toast, and the tropical Tahitian-stuffed stands out not just for the taste, but because it diverges from the traditional chocolate/banana/berry French toast toppings. Okay, so the description “Tahitian-stuffed” is a little misleading. The bread isn’t technically stuffed. But it is delicious, all crusted with sugary shaved coconut tendrils and topped with pineapple chunks. Plus, plenty of pure Vermont maple syrup. If my French toast floats, that’s about the right amount of syrup for me. The Rox Diner serves breakfast the way it was meant to be served: from open until close, from sweet to savory, and always with reasonable prices and high quality. It’s a meal worth waking up early for—but luckily, you don’t have to. Nicole Fleming is the author of The Girl Who Ate Boston food blog. Follow her on Twitter @GirlEatsBoston.